Lee Hill will also be closed during (or around, should the holiday fall on the weekend) 4th of July week (7/1-7/5) and the week between Christmas and New Year’s Day. 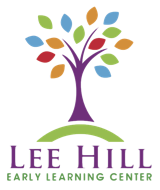 Lee Hill Early Learning Center will follow the Oyster River Cooperative School District school closings and cancellations. If the Oyster River public schools are closed due to inclement weather, LHELC will also be closed. If the schools have a delayed opening, Lee Hill will also open two (2) hours later than usual, at 9:00 am. We will also follow this if there are to be any early closings. Please refer to WMUR and look for the listing of “Oyster River Co-Op” for closing information. This policy protects our teachers, children, and families.